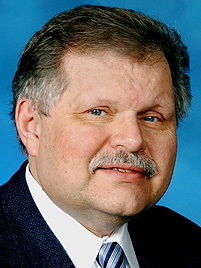 Frank Ewasyshyn: The 2010 and 2011 model launches face delays. NEW YORK -- Chrysler LLC will be late getting its 2010 vehicles to market because of the automaker's Chapter 11 bankruptcy filing, Chrysler manufacturing chief Frank Ewasyshyn testified today. The current shutdown of plants and stresses on suppliers also threaten to delay the 2011 models next year, Ewasyshyn said. The changeover to 2010 models is delayed while Chrysler tries to emerge from bankruptcy within the next 30 to 60 days, he said. Ewasyshyn did not give more specific details about the duration of the expected delays. Once Chrysler returns to production, planned as an alliance with Fiat S.p.A., the new company will have to finish assembling the many vehicles, engines and parts now partially built in Chrysler factories, Ewasyshyn said. That and readying for the new models will delay 2010 launches. Those typically take place shortly after a July shutdown to change tooling for the new vehicles. Ewasyshyn, speaking at a Chrysler bankruptcy hearing in New York, said the smooth launch of 2011 models also is jeopardized. Some suppliers are balking at sending the tooling and parts that need to be validated now in order to build the 2011 models. He was testifying in support of the bankruptcy court allowing Chrysler to pay suppliers for the nearly $1.71 billion that Chrysler owes them for parts already shipped. Chrysler was scheduled to introduce its re-engineered, restyled 2010 Dodge Ram heavy duty lineup in the fourth quarter of 2009. It is the only major model the company is introducing this year. The new work trucks will echo the styling of the 2009 Ram 1500 light-duty. But the most important model on deck is the 2011 Jeep Grand Cherokee, unveiled to the world at the New York auto show in April. The Grand Cherokee was to appear in dealerships next spring as a 2011 model. The Grand Cherokee is the most important new model scheduled before Fiat-derived vehicles start arriving. Chrysler CEO Bob Nardelli said last week Fiat products should begin arriving in Chrysler dealerships in about 18 months.